Living an almost bi-coastal life, I have become a self proclaimed packing expert. The process usually starts with utilizing a few extra rolling racks (I highly recommend!) and pulling anything and everything from my closet I think that applies to the given journey and it’s potential events. This exercise in narrowing down my wardrobe takes my overwhelmed/about-to-have-a-tantrum self from a 10 to about a 7. One element that can really take the stress off a packing mission is if it’s the very beginning of a new season – making everything feel fresh and almost new! I was lucky enough to attend a wedding in Hawaii last week which allowed me to break out my bikinis, floppy hats, and mumus! Here are some highlights of the ensembles that made their very first Summer debut! 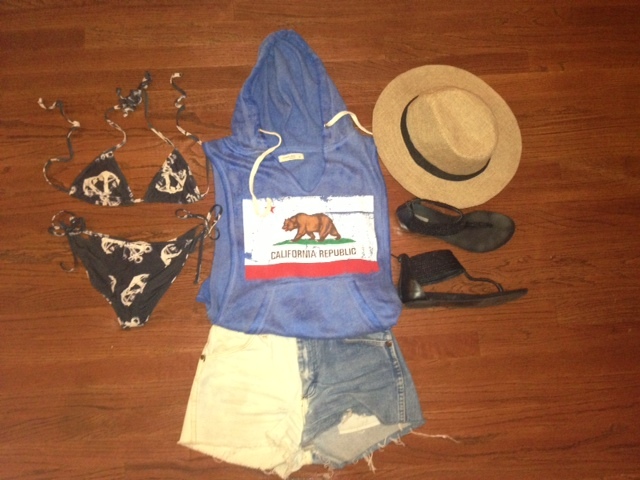 Beach Day – vintage silk mumu, FAME leather cap, Urban Outfitters sandals, Billabong bikini. 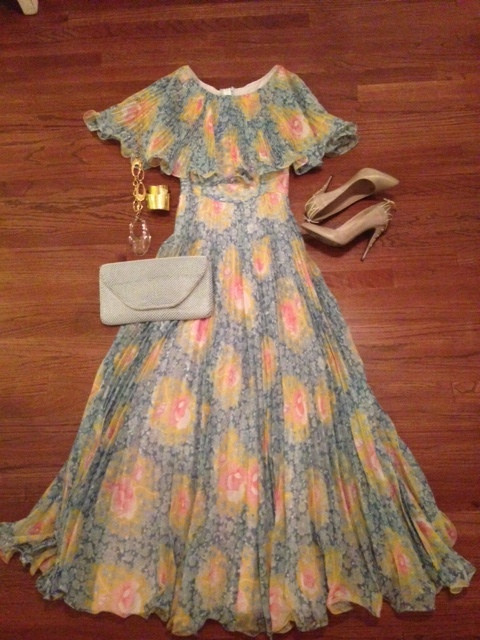 Wedding – vintage 70’s inspired floral dress, All Saints lace up heels, Alexis Bittar rose gold cuff and lucite necklace, vintage beaded mesh clutch. Pool Day – All Saints bikini, Ocean Drive s/l hoodie, vintage Wrangler high waisted bleached shorts, Urban Outfitters hat, Urban Outfitters sandals. Pool Party – Topshop muscle tank, ASOS floral skirt, F21 metallic sandals, Zara gold/silver chain necklace, vintage bracelets.